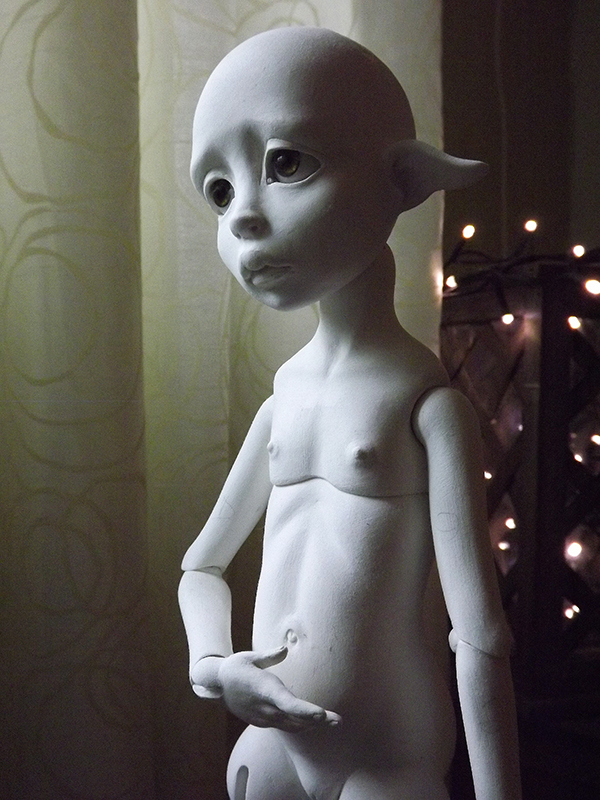 I am honored to help Nefer manage the sale of Lou so she may concentrate on her sculpting. Of course Sally's makeup as well as my own makeup will still be available. Nefer will not be offering her painting for Lou. She needs time to get ready for Austin. Lou is available in Pink Petal and Warm Sand! 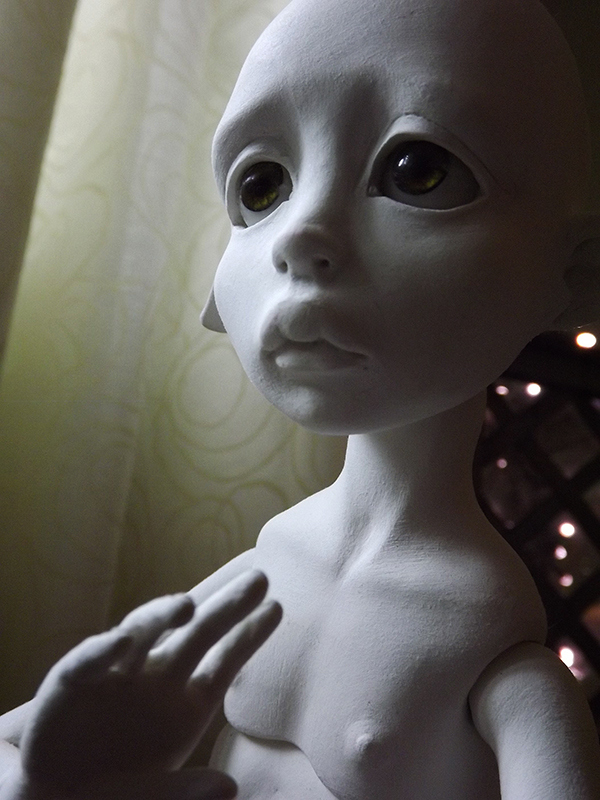 I have that AMAZING friend I work with since about a year now, ANGIE from Oobie Doll. Every time I open a preorder, it’s also open on her website. Angie knows I am constantly overbooked and that I would need more time to sculpt, so she proposed me to carry Lou the Elf for me. I must say I am very very grateful for her to do so. 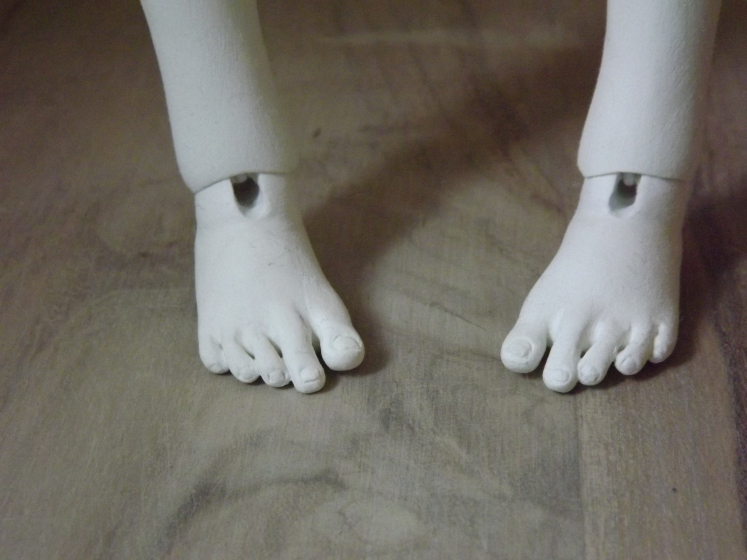 Therefore ( and be very careful to what follows) LOU’S PREODER OPENS TOMORROW ONLY AT OOBIE DOLL! Not on my website at all!! Just on Oobie Doll! Angie, proposes, of course, LAYAWAYS just as I do! 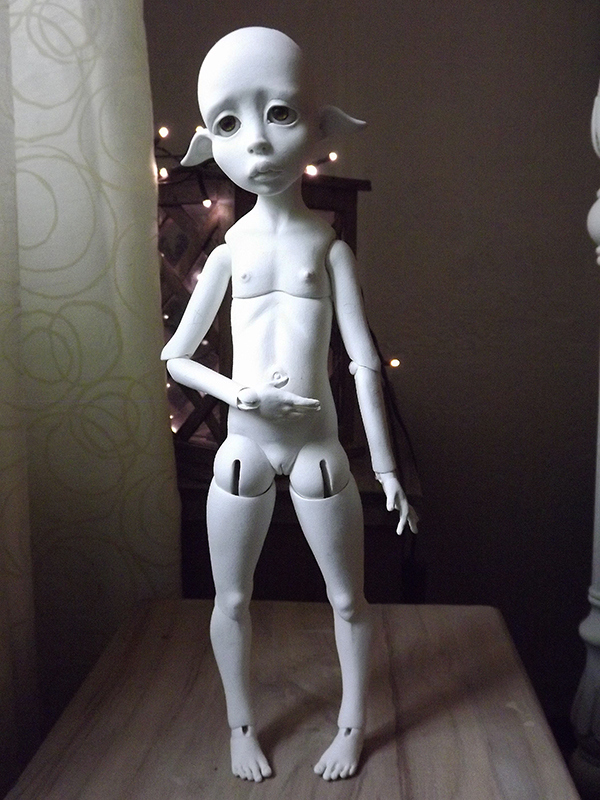 Lou is a YOSD, she is 36cm tall ( a bit taller than Mystery), she takes 16mm for eyes, her wig size is 7/8. 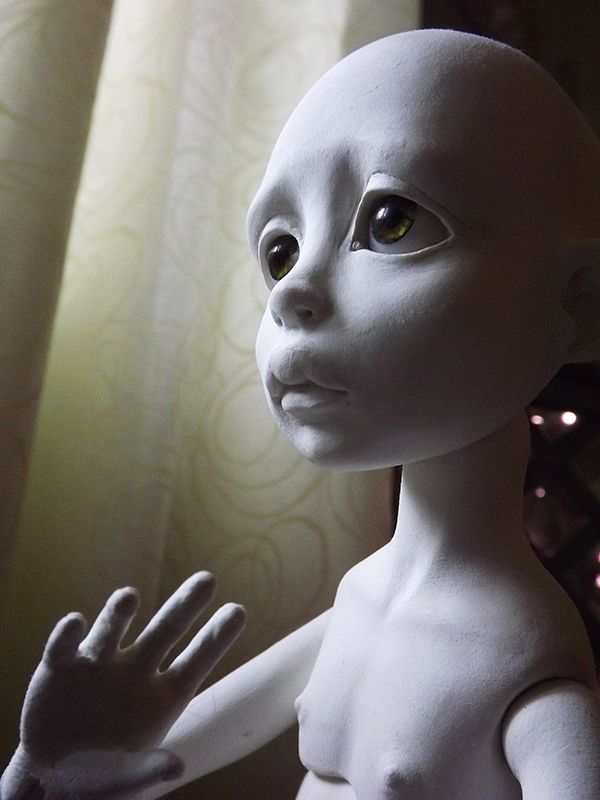 She will be available in Pink Petal and Warm Sand skin tones. 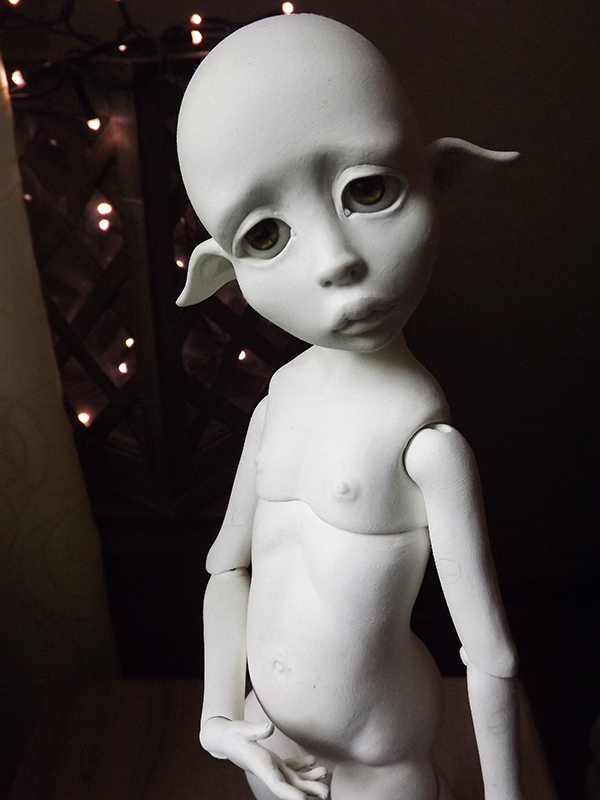 I must say that Lou is, along Stadnik, my most achieved sculpt so far. The details of her body and face are the best I did and she is very special to me, for she is a survivor. Lou almost ended up in the garbage. 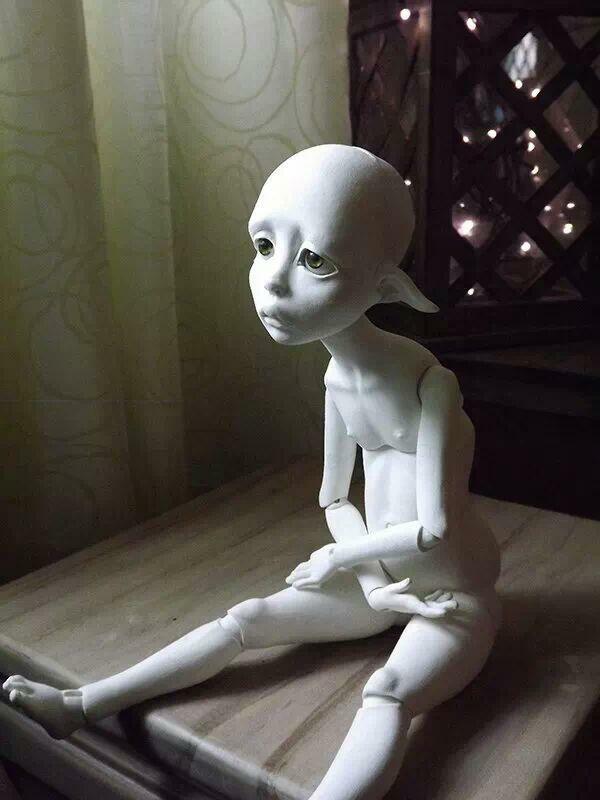 I lived some very hurtful situations, related to different people, while I was sculpting her, but instead of destroying her; which happens sometimes to my sculpts when I am dissatisfied with them or myself; I beheld myself and decided to sculpt her face just how I felt. This is why Lou has this scared, sad, hurt look. But at the same time she is determined. When you are under the weather, I think that all you can do is waiting for the storm to end. Even if it hurts, even if you loose delusions, even if you’re soaked and scared : it shall pass for it always does. Of course, the best option is to always be in sunshine; but life doesn’t work that way. Lou is a waifed child too. She represents my loneliness as well. I am used to be alone. That would be a lie to say that it’s always OK, cause it’s not. But I am used to, so that loneliness is now a part of me, even whenever it hurts. Anyway, you can’t force people to love you no matter how you love them. And they have been quite a bunch recently to not love me back. But that’s ok too. I think we all live that sort of events in our lives; it’s no fun, but that’s Life and we must go on cause giving up is the WORST thing that could ever happen to everyone of us. 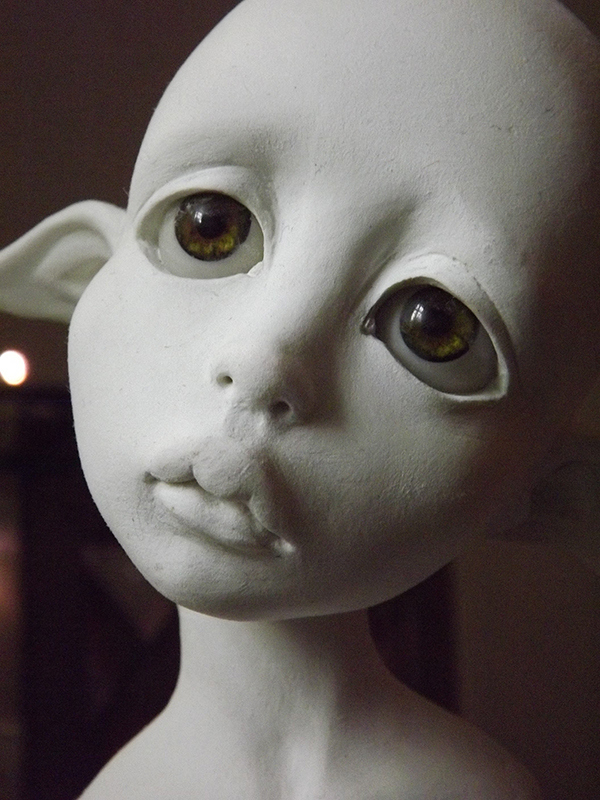 Lou is the sculpt representing how we can feel when we are not loved and so very lonely but not giving up…. Anyway, I hope that you enjoy little scared, waifed Lou. A note on body blushing...the years of collecting and painting dolls have proven that artist body blushing allows for your dolls to become soiled easier over time with normal posing, playing and dressing. 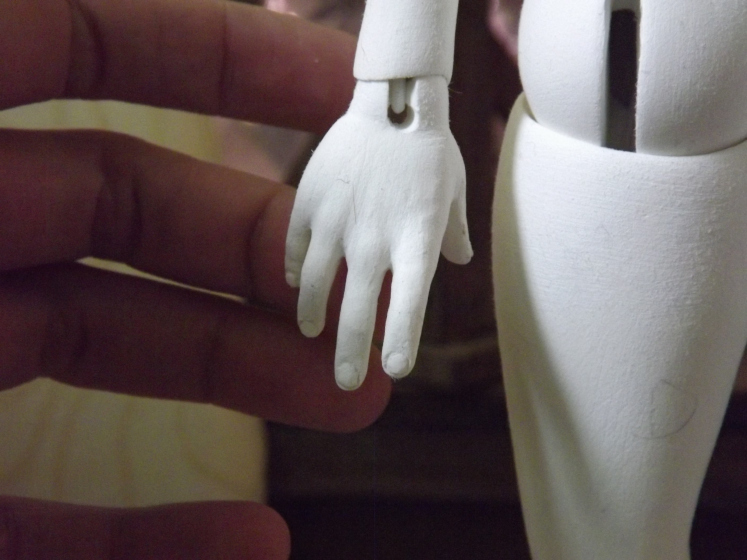 The latest trend has been to only blush exposed areas of your doll that would show while dressed. These would be the head, hands, feet and neck. So, Sally and I have agreed to try and steer away from the full body blush and only offer the above listed makeup for Lou and future dolls. That said, you may still ask!